Family Medicine and Maternity Care in Vernon, BC. Dr. Aucamp is making a change and will be transferring his practice to Dr. Lindsay Kwantes and Dr. Jeff Kwantes effective December 1, 2018. Dr. Aucamp will be missed. Please see his letter to his patients here. We are excited to welcome the Kwantes' to the Centreville Clinic! Located on the third floor of the Sterling Centre in Vernon, BC. 9 AM to 5 PM M-F, closed for lunch. Please check with our staff regarding availability of particular physicians. The Centreville name is historical. In 1885, Charles Brewer and E.J. 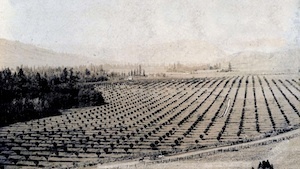 Tronson laid out a townsite in the North Okanagan Valley and called it "Centreville". In 1887, it was renamed "Vernon". The "Centreville Clinic" was established in November of 2012. Image courtesy of the Vernon Museum and Archives. Image 5029.